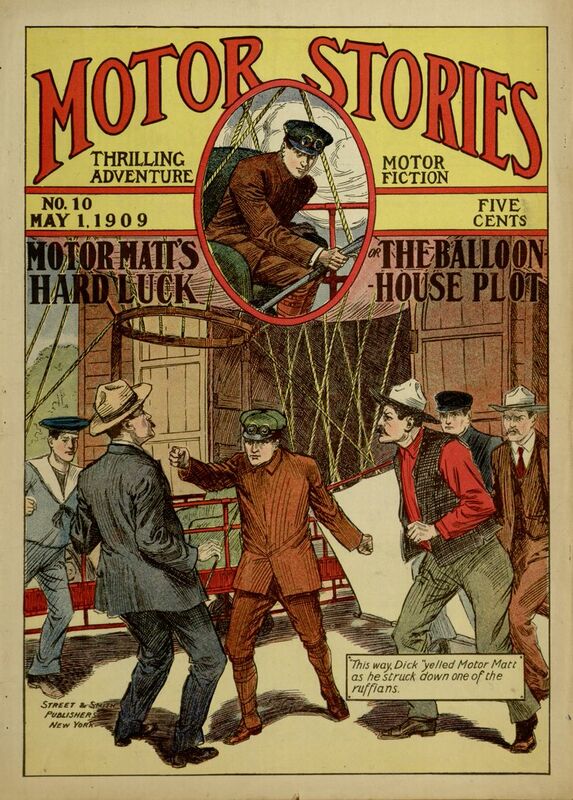 The tenth issue of Motor Stories is now available on Project Gutenberg thanks to our collaboration with Distributed Proofreaders. 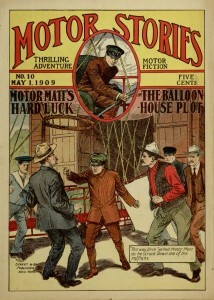 Motor Matt’s Hard Luck picks up right where Motor Matt’s Air Ship left off, with Motor Matt continuing his career as an air-ship pilot and foiling the plans of the evil Brady gang. As usual, the main adventure is followed by a short filler story; this time, it’s “The Red Spider,” a Western adventure involving a plot to manipulate the stock market by damming a river. The entire book can be read online or downloaded in eBook format at Project Gutenberg.